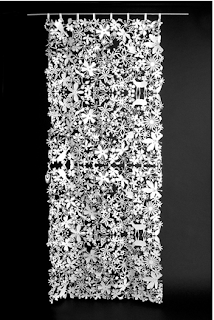 i always forget just how much i love this tord boontje curtain. thankfully it pops up and reminds me every once in a while ... as it did this past weekend in sf. available at velocity. my very first etsy sneak peek!